A start-up does not have much to lose – since it is just ‘starting’ out, breaking fresh ground and exploring new, uncharted territory. If one possesses the right positive attitude, start-ups can scale unprecedented heights. It is this belief that fuelled Ram krishna’s endeavours in the field. Quite often, people are afraid of the new – they wish to stick comfortably to something that is old and firmly established. Newness seems too dangerous to be associated with. But this woman believes the opposite – and herein lies the motivation –she embraced the new with open arms, was not afraid a jot to experiment, experience and taste what the new had to offer and did not follow the crowd. She did not take the well-beaten path to success, instead she built her own path, methodically, and others followed her along it. Ram krishna tasted success when the NSE marched quite ahead of the well-established Bombay Stock Exchange, the former possessing a market share of 82%. Though there was immense scepticism and apprehension when the NSE was taking shape, Ram krishna never even thought of giving up. It empowered her in a unique way – she chose to consider and appreciate the fact that since it was a new, unheard of venture, there were not too many or too high expectations from them. They did not have to achieve any pre-determined standards or scale established peaks in order to prove themselves. This ensured that they had the comfort of creating their own path as and how the situation demanded. Interestingly Chitra spends most of her time lost in the world of stock trading and numbers, is quite fond of Carnatic music and knows how to play the veena. She was in fact training to become a musician. But the music industry’s loss was the stock market’s gain, and quite literally so. 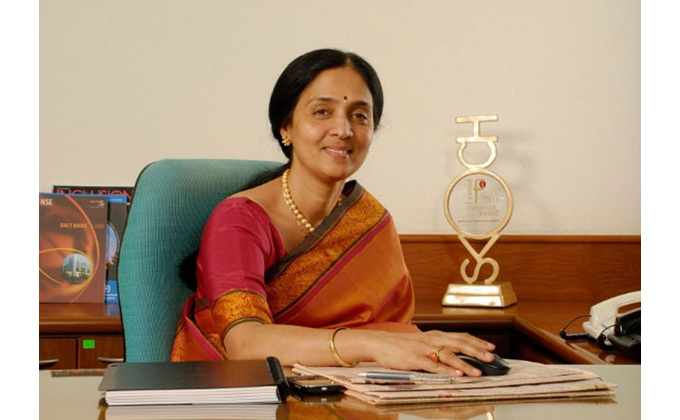 Ram krishna stands third in the list of women who have been the heads of national stock exchanges – the other two being Sri Lanka’s Colombo Stock Exchange and China’s Shenzhen Stock Exchange. In 2013, she was named the Forbes’ Woman Leader of the Year. Fortune magazine ranked her at the seventeenth position in the list of top Global Women Business Leaders.